Join in the Fun! Click here to watch our Informational Video! encourages camaraderie and long term participation in skating. Introductory teams perform locally and may participate in one local competition. Competitive teams compete and perform locally and also travel to nearby states during the season. Weekly practices are held Sundays starting late afternoon and throughout the evening at Chiller Easton. Practice times are divided up by team. From November—April the teams typically have one competition or performance per month. For Introductory Teams—Payments are $100 per month depending on level of team, Sept thru April. This includes the cost of weekly practice ice, coaching, dress and tights. For Competitive Teams -Payments are a $150 deposit at the beginning of the season and approximately $140 per month Sept thru April—this includes the cost of weekly home practice ice and coaching, competition attire, competition entry fees. Skaters are expected to practice individual skills on their own and continue to strengthen skating skills. The team counts on each and every member to give their very best. For additional information contact Denise Hughes at dhughes@thechiller.com. If you have ever thought about trying synchronized skating, we would like to invite you out to try “synchro” during our summer clinics. These clinics are a great way to gain experience and prepare for the upcoming season. In addition to learning new skills, we also use the clinics to determine team placements, so the more you can attend the better! Each session is $15 and includes one hour of on-ice and 30 minutes of off-ice instruction. Below is the projected schedule for our synchronized skating clinics for the summer months. Reminders will be sent the week of the clinic, but mark your calendars now so you don’t forget! We will ask for RSVP prior to each event. Cost per clinic is $15 payable to the front desk day of session. Please RSVP to Denise Hughes - dhughes@thechiller.com. 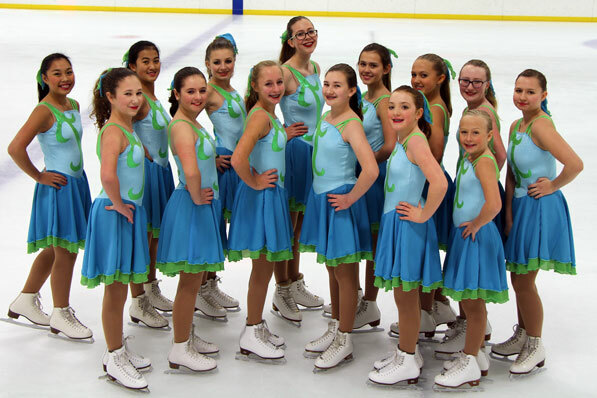 Learn to skate synchro at our summer clinics and prepare for the upcoming season. Although attendance at all clinics is not mandatory, it is recommended that you attend as many clinics as possible. Clinic Attire: Skaters should wear appropriate skating clothes—no jeans, please. Long hair should be pulled back in a ponytail neatly away from face. No gloves, jewelry or shirts with a hood for safety reasons. *Skaters should be able to skate on their own without assistance. Recommended for Basic 3 and up. RSVP & Questions contact: Denise Hughes at dhughes@thechiller.com. Synchronized Team Skating is the fastest growing component of figure skating combining elements of ballet, ice dancing and pairs skating into an exciting on ice performance. A well-balanced program includes circles, lines, blocks, wheels, and intersections. The emphasis is on the accuracy of formations and synchronization of the team. Synchronized Skating brought the team concept to a sport that was focused on singles and pairs. It is this team aspect that encourages camaraderie and long term participation in skating. In addition, because "Synchro" is one of the few co-ed sports, it has drastically expanded participation opportunities in skating. Synchro is a challenging and thrilling sport! Teams consist of 8-24 skaters who must develop and master the basics of skating in order to execute difficult formations with speed and accuracy. Skaters strive for continuous movement requiring smooth transitions, intricate footwork and difficult turns. All skaters are expected to maintain and improve individual skills throughout the synchronized skating season through consistent practice and private or group lessons. 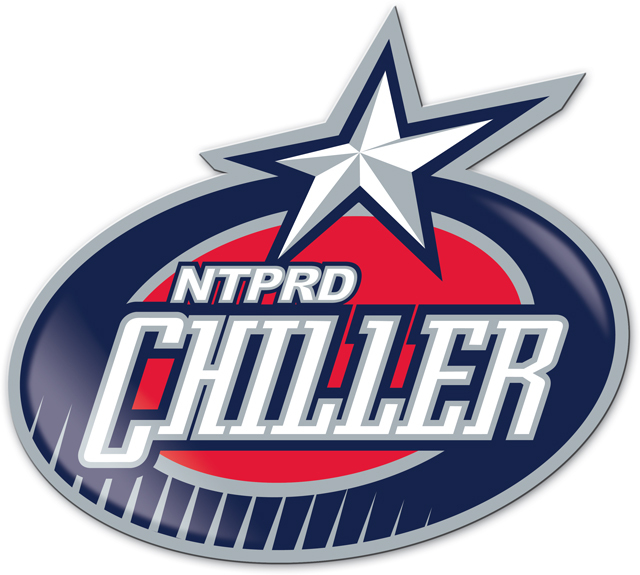 Under the guidance of highly qualified coaches, Team Chiller strives to foster a sense of team spirit, placing an emphasis on skill development and participation in a fun and supportive environment. This will be accomplished by encouraging teamwork and sportsmanship while supporting individual skaters as they seek to achieve their unique potential.